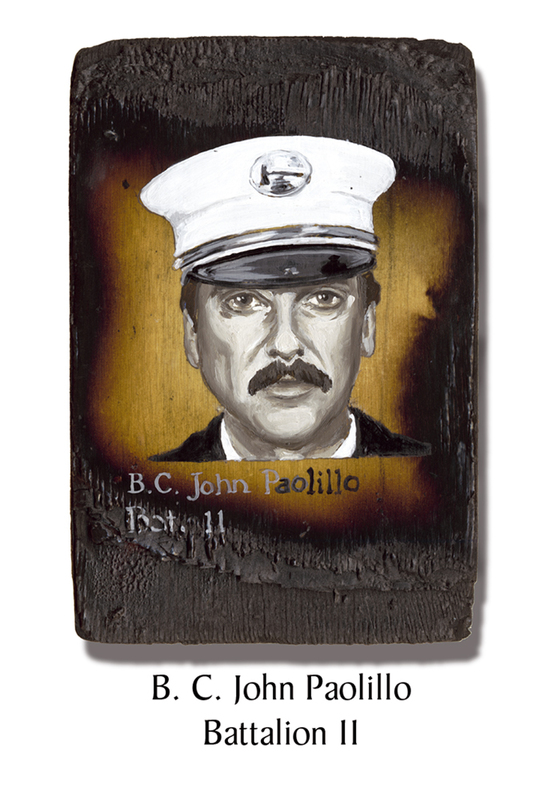 Battalion Chief John Paolillo was promoted to Deputy Chief of Special Operations Command, although the FDNY still lists him as BC of Battalion 11 on their memorial pages with an asterisk designating a posthumous promotion. Paolillo was acting in his SOC capacity on 9/11 when he responded to the alarm with his battalion aide. They arrived at the site just before the second plane struck. An FDNY veteran since 1977, “relentless dedication” are the words his family used to describe his commitment to his job. Paolillo, 51, still ran 10 miles almost every day. His brother, a member of the NYPD sometimes ran with him. He tells the story of the time they were jogging when they witnessed a car slam into a divider on the Belt Parkway. John was over the barricades, rescuing the driver and redirecting traffic within seconds. He was a take-charge kind of guy. This entry was posted in Better Angels Stories and tagged 343, 9/11, better angels, Dawn Siebel, FDNY, firefighter, firefighters, firefighters of 9/11, John Paolillo, LODD, Manhattan, memorial, NFFF, paintings, portraits, S.O.C., Special Operations Command, World Trade Center, WTC. Bookmark the permalink.